(February 2, 2011) St. Louis, MO – Hacker University is pleased to announce it has been asked by EC-Council, the leading international certification body in information security, to participate in the Global Launch of CEH v7 - the most advanced information security and ethical hacking training program in the world which is not yet publicly available. Only 15 students will be allowed to attend this exclusive, cutting-edge class the week of March 14, 2011 in St. Louis – becoming one of the world’s first CEH v7 certified professionals. Chronister also “trained the trainers” for CEH v7, authored questions for the CEHv7 exam, is an EC-Council appointed CEH v7 instructor, as well as CEH v7 certified himself and a professional hacker for Hacker U’s parent company, Parameter Security. He is also recipient of the 2010 EC-Council Award “Instructor, Circle of Excellence” and was recently recognized at Hacker Halted USA. The 15 lucky students selected to participate in the launch of CEH v7 will receive a Netbook complete with class materials pre-loaded and is theirs to keep; hard-copy commemorative 4-color courseware with study guides, labs and practice exams; breakfast, lunch and snacks each day; exam proctoring on the last day of class; free “second pass” voucher; commemorative metal plated certification of attendance with unique individual ID; VIP access to EC-Council’s Hacker Halted & TakeDownCon conferences; lifetime membership to Hacker University with reduced rates on additional information security classes; celebratory CEH v7 VIP Global Launch Reception and much more. 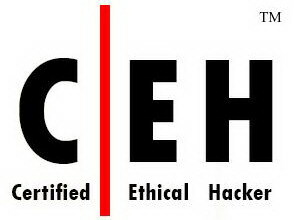 For additional information about Hacker University’s Global Launch of CEH v7, contact Hacker University at 314.442.0472, hackeru@parametersecurity.com or www.parametersecurity.com. Hacker University™ or Hacker U™ is a subsidiary of Parameter Security and an EC-Council Accredited Training Center (ATC) for IT professionals and non-IT professionals who desire education and training regarding information security and malicious hackers. Our EC-Council Certified Instructors (CEI) offer a variety of courses from end-user security awareness training to IT security professional certifications such as C|EH, E|CSA, C|HFI, CISSP and more. Parameter Security™, an ethical hacking firm, was born out of the need to help protect our businesses, government, health care, financial and educational institutions and various organizations globally from vicious hackers. As Certified Ethical Hackers, we emulate the minds and behaviors of malicious hackers to test the security of your systems and employees. What makes us different is that we use the information gathered to empower you by explaining how we gained access to your sensitive data, the type of information we retrieved and offer recommendations on how to improve your overall information security. Parameter Security offers IT compliance audits, penetration testing, vulnerability assessments, social engineering, wireless security audits, secure code reviews, computer forensics and much more. Contact us at 314.442.0472 or www.parametersecurity.com.